In the recent years Xiaomi has expanded its product way beyond smartphones, moving into a wide field of consumer electronics and doodads, covering items like air purifiers, electric toothbrushes, electric scooters, and many other products. 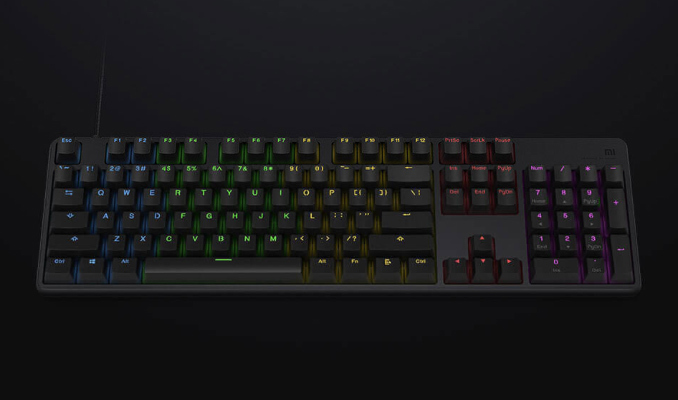 Continuing this diversification, this week the company introduced its first mechanical keyboard aimed at gamers and featuring configurable RGB backlighting. 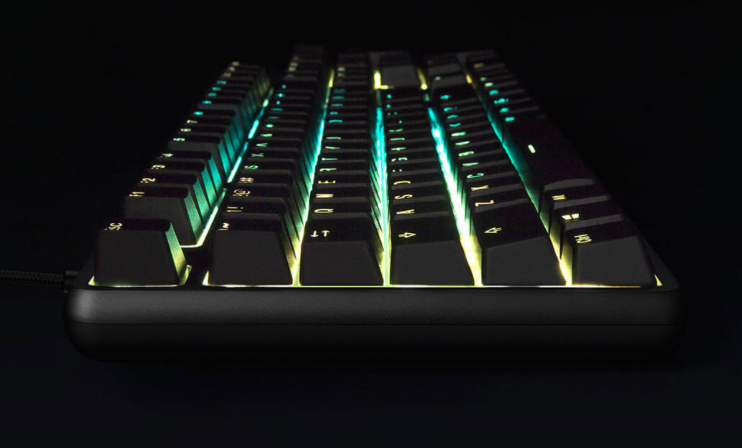 The Xiaomi Gaming Keyboard features 104 keys backed by TTC Red switches (with a 3-mm travel distance). Under the hood, Xiaomi is using a Sonix microcontroller featuring a 32-bit Cortex-M0 core as well as a USB interface supporting a 1000 Hz polling rate. The keyboard supports 33-key rollover, which is important for FPS and RTS gamers that press multiple keys almost simultaneously. Meanwhile, it does not have programmable keys and does not support macros. The Gaming Keyboard from Xiami comes in aluminum chassis to ensure its durability and give a premium feel. The key caps themselves are made of PBT (polybutylene terephthalate), which is more durably than traditional ABS plastic used for key caps. When it comes to ergonomics, the keyboard can regulate its angle using special rubber nobs, a rather conventional feature implemented using an unconventional method. The keyboard’s RGB backlighting can be programmed manually using embedded software and the FN key. Therefore, it does not look like Xiami’s keyboard supports RGB controls using software from makers of motherboards, such as the ASUS Aura Sync. Xiaomi has already begun to sell its Gaming Keyboard in China for ¥229 ($33.6). The keyboard is not the only product for gamers launched by Xiaomi recently. Earlier this summer the company introduced its Mi Gaming Mouse with a 7200 DPI sensor, RGB accents and additional buttons. Did you read the article or you just went straight to trolling? Maybe you’re working for other keyboards manufacturers. By the way TTC vs Cherry switches are matter of tastes. Even tho I’ve never tried out this one but this $33 keyboard seems to have more quality than all others that cost $80+.